For the kokanee, there are many lures in different sizes, shapes and colors. They all catch fish at certain times, in different depths and at various speeds. 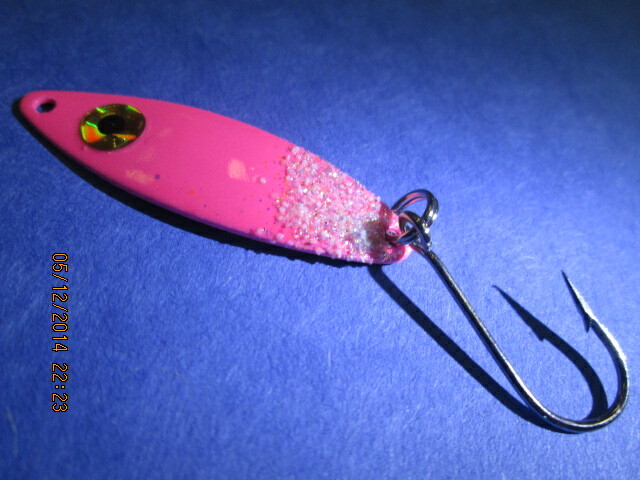 The most popular kokanee catcher is a pink hoochie and in close second would be a spinner of some sort. 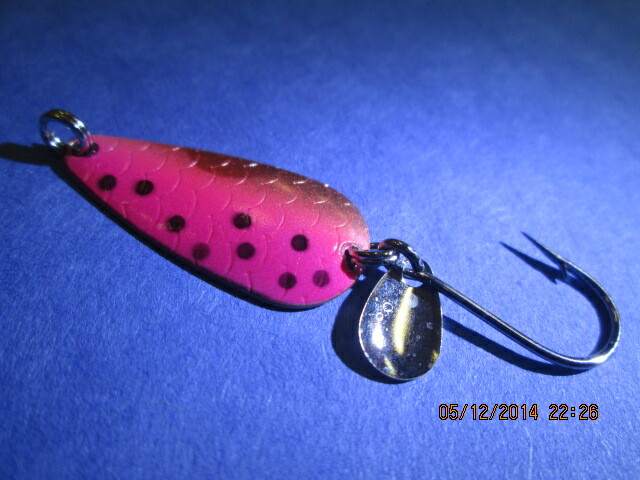 But, there is a lure that is often over looked that has, and will always produce limits, that is a kokanee spoon. These small spoons have an incredible amount of action that will trigger some violent strikes. 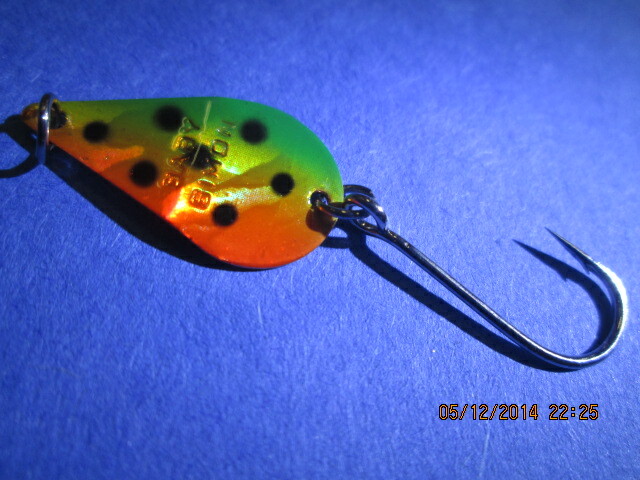 Vance’s Sockeye Slammers come in a variety of colors and two different sizes. Try fishing two of them in tandem with the larger size in front. These spoons swinging back and forth, side-to-side will drive fish crazy. The Excel Spoons are known for their trout catching abilities but they make a smaller size that works great for the kokanee. New this year is the Simon Baby Wobbler. These little guys have some amazing finishes and a unique wobbling action. So far they have been responsible for many limits. One nice thing about the use of spoons is they have a single Siwash hook. This makes releasing smaller fish very easy. Simply leave the fish in the water and use a pair of pliers to pop the hook free. Another thing to remember is to use less corn or other products when tipping these baits. Too many pieces will take away from the action and result in fewer fish.